This course provides information on communication devices, also known as AAC (Alternative and Augmentative Communication) and SGD (Speech Generating Devices). If you are looking for information on voice banking please check out our ALS, Voice Banking, and Speech Amplification module. Low Tech for EmergenciesIn emergency situations it is important to have access to communication. These free booklets below give instructions on how to use the booklets to better serve the individual. Low Tech for Everyday It is always good to have basic needs covered by low-tech AAC. 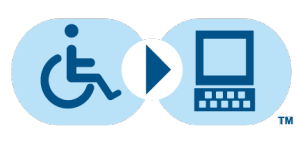 This way if there is not access to Higher tech devices the individual can have their needs met until another device replaces the free printed sheets you can get below. Single Message CommunicatorsHere is an Alphabetical listing of some of the vendors and the names of their single message communicators. Does using voice output devices/AAC/SGD impede natural speech?Links to research articles and additional information. The following video teaches how to edit boards using Proloquo2GO. CoughDrop.com – CoughDrop is a new team-based AAC application founded here in Utah. For the past two years we’ve been working with over 50 experts around the country to make AAC simpler and more approachable, and to build supporting tools that can better enable and empower parents, therapists, and teachers to help communicators make their voices heard. Join us to learn how the unique features of CoughDrop and how you can utilize cloud technology to give you data and reporting, of the AAC experience, in real time. CoughDrop Follow-Up Training – This video shows how to set up an account, how to manage the account settings and some information about setting up the app. Alabama Medicare: Speech Generating Devices are covered by Part B but individual is responsible for 20% of the Medicare-approved amounts of the device.